First thing on Mondays schedule was to attend the General Session. I physically attended the General Session. I usually like to watch the first one in person and then watch the other two in the hang space. There is always a long wait to get in, but if you get there early enough you are able to get a good seat. Robin Matlock kicked off today’s general session with a speech about challenges and in particular the challenges in building the Golden Gate Bridge. 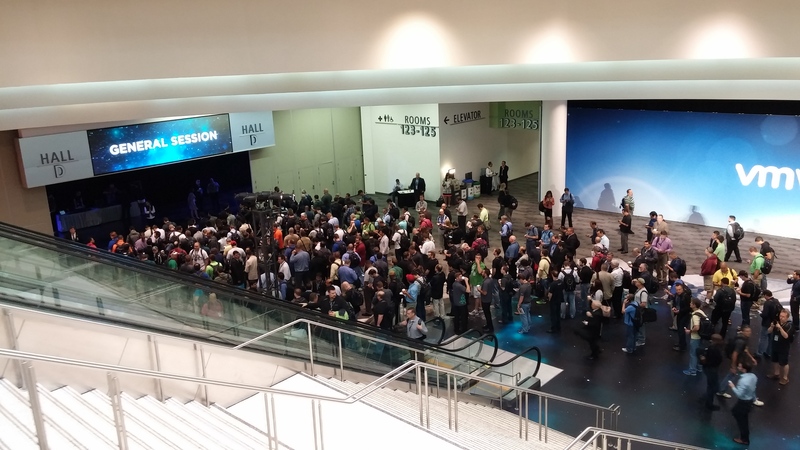 She also stated that there was over 22,000 people from 85 countries at VMworld this year. Next Robin talked about the GiveBack initiative where VMware donates up to $250.000. Attendees construct their own paper airplane and generate donations based on the distance flown. Lastly she talked about VMwares acquisition of AirWatch & CloudVolumes. 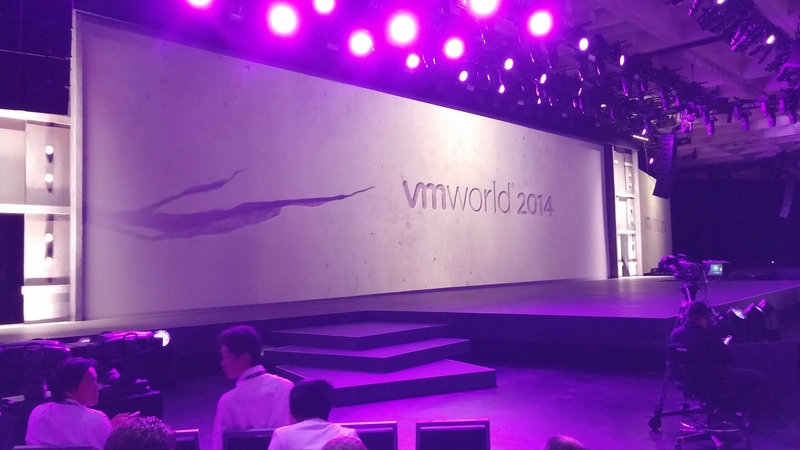 After Robin finished the screen exploded and VMware CEO Pat Gelsinger walked on stage. Here a just a few announcements that Pat talked about. Bill Fathers General Manager VMware vCloud Air was next on stage talking about vCloud Air (New name for vCloud Services) and the increase of VMs running in the public cloud. Last up was Carl Eschenbach President and COO of VMware stating that everyone should rise above the silos and keep automating and innovating to keep business happy and have more time to increase efficiency, security and flexibility. There were three customer cases on stage: MedTronic, MIT Media and Ford. After the General Session I attended 3 Group discussion sessions. I love attended Group Discussion sessions because they are usually limited to 50 people and there is not set schedule that the presenter has to follow. It is more of a Q&A type of format. I had two other sessions scheduled for the day, but I just didn’t have the energy to go to 2 more sessions. 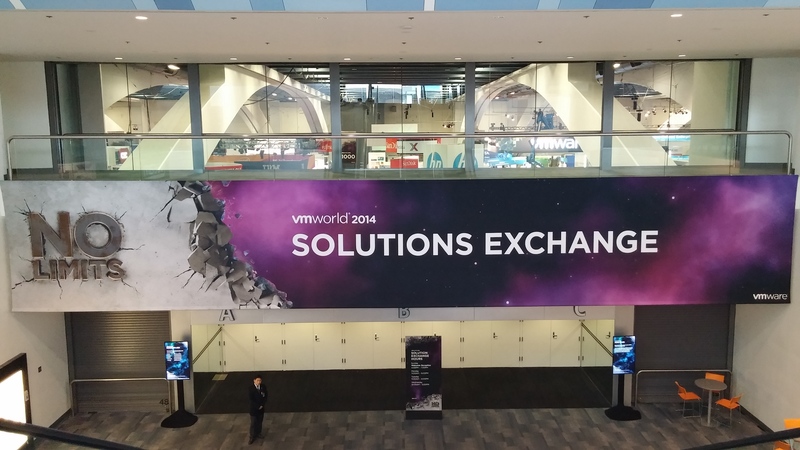 I also spent some time in the solutions exchange talking to vendors. The high light of my day was a closed door meeting with PernixData sales team and Frank Denneman. We talked about challenges we are having with storage in our environment and he talked about how PernixData could solve some of our issues. 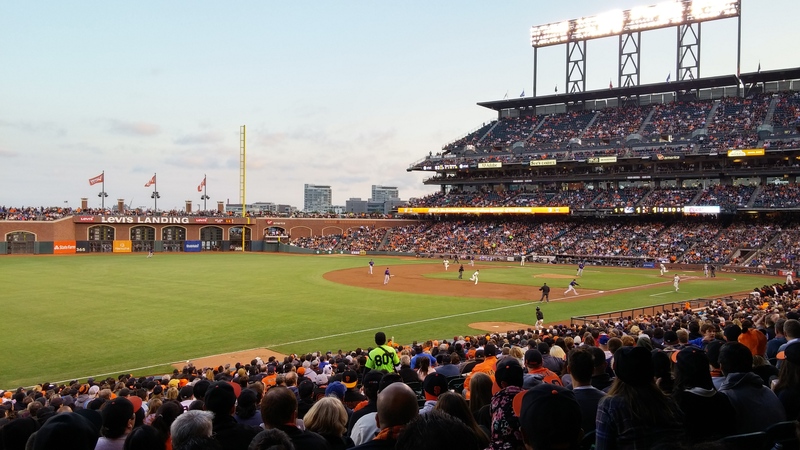 In the evening we decided to relax and get away from the conference by attending the SF Giants game. They played the Colorado Rockies. It was a good game, but the Giants lost. After the game we decided to attend the Xangati party at Bourbon & Branch. It is always a place I love to visit when I am in San Francisco, so I was excited when I received an invite to a party at Bourbon & Branch. Overall it was a busy day, but it was productive, fun and I learned a lot. This entry was posted in Uncategorized by Marc Crawford. Bookmark the permalink.